Nominated for the JDR Industry blogger awards! I am so excited to share this with you all today, I am Nominated for the JDR Industry blogger awards! When I started this blog three years ago, I had no goal in mind, no set plans for this. I simply wanted to talk about decorating my home and maybe get through the crazy days of three small kids at home all day. The days of babies and pregnancy are blessed, but very long and tough at times. This blog was a little something I had just for me, to reign in my insanity a little. Now that my kids are in school full time this year I have been fortunate enough to count this blog as my day job. Seeing continued growth in all avenues with Our house now a home has given me so many opportunities to turn this into a full fledged career. However, even in my wildest dreams I could not have foreseen all that I have gotten to experience and accomplish! 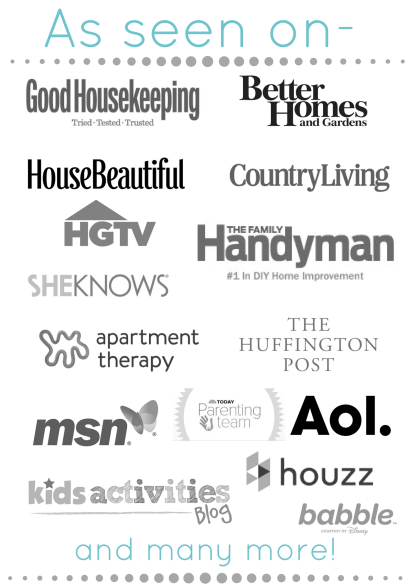 I have worked with amazing brands, met so many wonderful people in the decorating and blogging industry. I am working full time, and my literal job is decorating my home. Say what?!!! 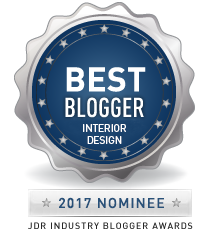 Most importantly, I was nominated for the JDR Industry blogger award, in the interior design category!!! You can vote for me here, towards the bottom of the page. There is a lot of blogs in my category and they are all amazing in their own ways. Honestly, no matter how cliche it is to say…. it is an honor to be nominated! 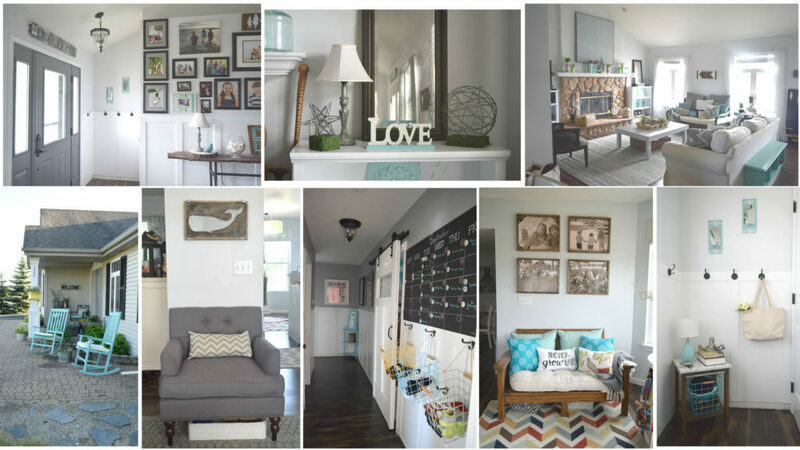 Seriously, I love what Jackson Design and Remodeling is doing to support and celebrate bloggers. Too many times brands or other large companies take for granted the work and influence bloggers have. 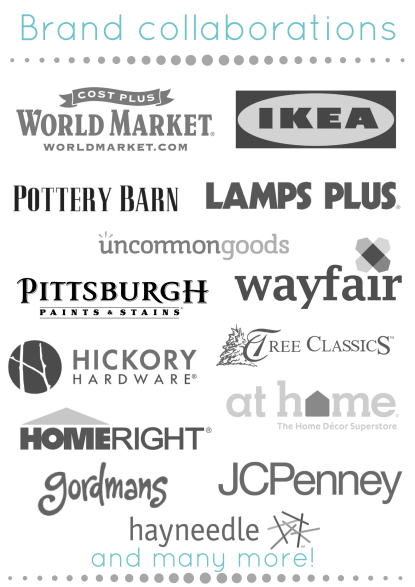 Here is a great company that is acknowledging the unique way bloggers add to the home design industry. It is such an honor to be included in this talented group. I would of course love to win, but simply being a part of this group and recognized in anyway is above and beyond what I ever thought possible. When I started this blog, no one saw it, literally no one. I am pretty sure if you had searched the exact blog name, it still would not come up on search results for the first year. No one knew Our house now a home existed. Through so many hours of work, time spent marketing and researching, DIYing and picture taking I have stumbled into an amazing opportunity and career. To know that people voted for me to even be nominated for an award like this is crazy! 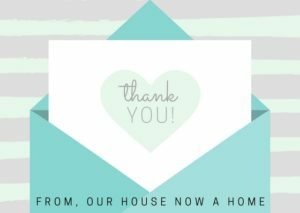 Thank you so much all of you for being on this journey with me, supporting this blog and talking home decor weekly! Being Nominated for the JDR Industry blogger awards is one of those bucket list moments as a blogger and I am enjoying this ride regardless of the outcome of the voting. If you do want to vote, you can do so only once, but can vote once on any device; phone, tablet and desktop all count as different votes. Not saying you have to go that far in your voting of me, just giving you all of the information! I am off to celebrate this nomination and enjoy the weekend! Next week starts another week of home decorating and DIY projects! Congrats. If you ever what a to come practice on my home feel free. I have lots you can fix up. congrats again I am so excited fro you. Thank you so much Rebecca! I would love to decorate other peoples homes, that would be so much fun! Thank you! It means a lot to me to even be nominated. Such an honor! Congrats on being nominated! I went over and voted for you. It’s always exciting to be noticed for our hard work and dedication. I always love seeing your new projects and you always give me new ideas to decorate my own home. Thank you so much for the support and sweet words! I am happy you enjoy my blog and ideas! Wow look how far you have come and how much you have accomplished all in three years. Congratulations big time! Plus you are doing something you love. Your style is wonderful and fits many homes. Thank you so much! I had no plans where this blog would go but I am enjoying this journey so much! The fact that people enjoy my ideas and maybe get some inspiration for their own homes is amazing! That is pretty awesome that you got nominated! I hope you win!! It would be so cool if you did! Thank you! It would be great to win, be honestly just being nominated is an honor! Oh wow go you! What an amazing things to be nominated for, good luck with the winning, I’ll keep my fingers crossed for you! And you seem to do a really good job at it. You have a great eye. Very nice room decor. Good for you in finding and fulfilling your passion. Thank you! I adore decorating and getting to share my ideas and talk home decor with other people is amazing! This is super exciting. Congratulations!!! Love your style of decorating. Wow! Your home looks absolutely amazing. Congrats on the nomination. Love the style! Congrats on the recognition and all of your amazing work! I am inspired by the creative projects you do and how you make it all look so effortless. Thank you so much for your kind words, I am so happy you enjoy my ideas and get some inspiration from them! Congrats! That is so exciting. Your hard work has paid off! I love the style. Congratulations! So excited for you!! Not only do you have a beautiful home but all your hard work has paid off. Thank you so much! I was shocked and honored to be nominated. I enjoy decorating my home and sharing it with others. 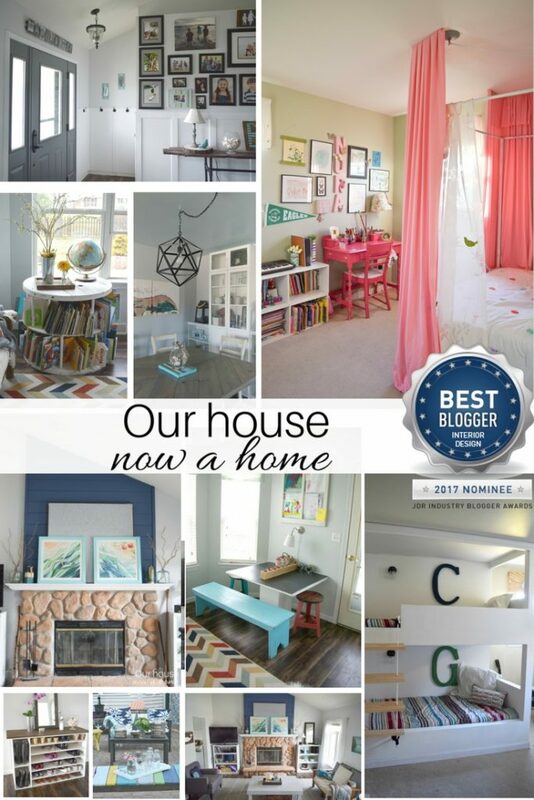 I never thought a home design blogger award would come my way! Congrats! I love the style. Your home looks amazing! Thank you so much for your vote, support and kind words! The round table with books was actually an old spool that I added shelving too. It is one of my favorite furniture pieces in my home too! Congrats! Just by looking at the pics in your sidebar, I am jealous! One day I will tackle my house! Thank you so much! I really enjoy decorating my home! 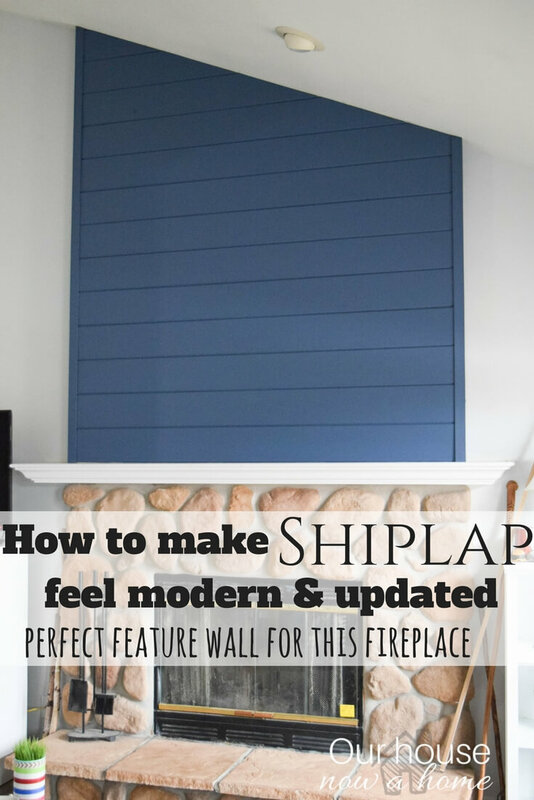 I am always inspired to do as you do every time I read a new blog post about your DIY projects. Congratulations on the nomination and I know you deserve the win! Thank you so much! I love hearing that you are inspired by my ideas! Congrats to you! Your blog is awesome. 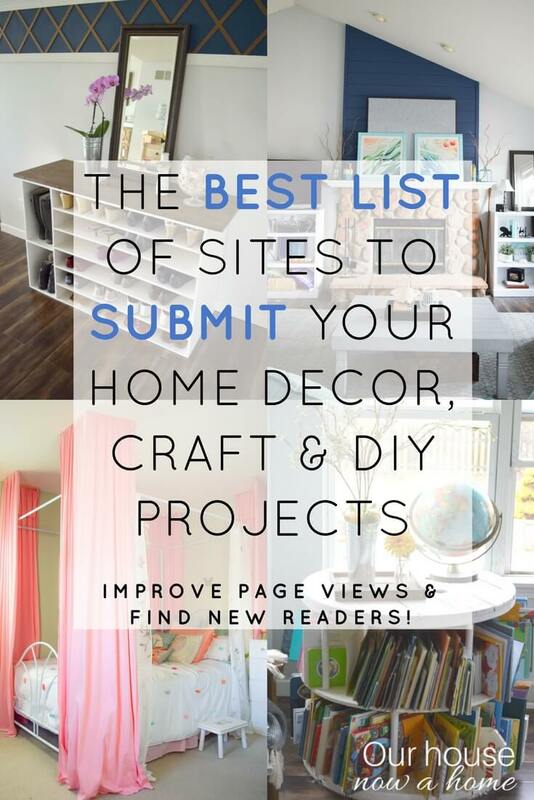 I love all of your DIY projects. Congratulations on the nomination! 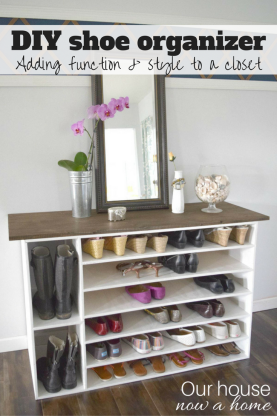 You do a lot of great DIY projects here that are great and inspirational. That probably has a lot to do with your nomination. Thank you so much! 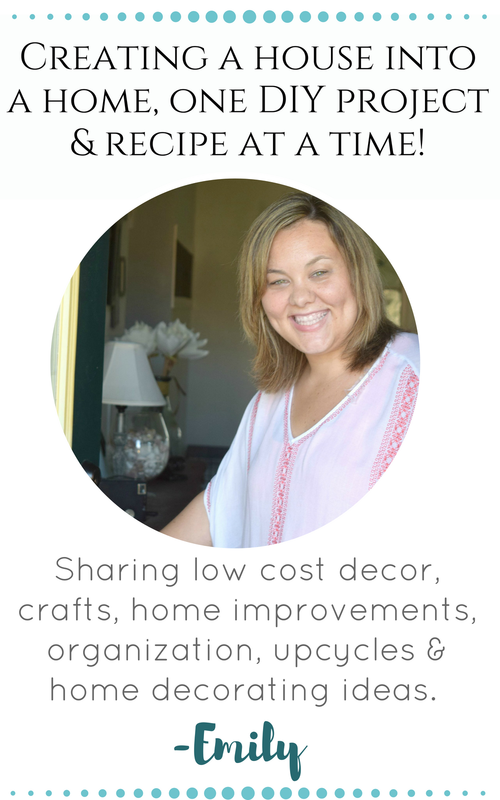 I started doing DIY projects because I could not afford to decorate my home with store bought items. Now that I have been doing it fot so long DIYing things has become second nature to me. Hearty congrats for being nominated! 🙂 It is so good when one’s hard work is recognised. The house pics look amazing! Thank you so much, it was such an honor! Yes, I do feel like I won already because even nominated and in the group of other bloggers is something I never thought possible. Woah, way to go! Congrats on your Nomination for the JDR Industry blogger awards! I will definitely vote for you, fingers crossed! 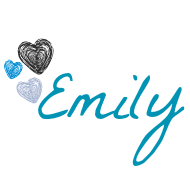 Congratulations, Emily! That’s wonderful. I hope you win! I’ve never heard of those awards before but your house. Omg, can you come do mine?! Thank you! I think it would be so much fun to decorate other peoples homes!